In a world where the government must take extreme measures to fight the war on obesity, citizens of large mass are forced to run for their lives from tigers. Crazy, I know. 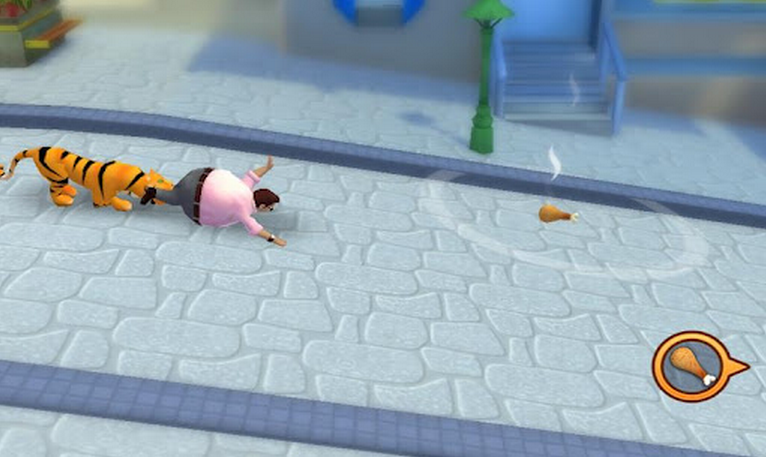 You play as one overweight person who dares to outrun the tiger, but in doing so, maybe you’ll become healthy. Naturally, you get tired from running so much so food is your ally during the levels. It’s an interesting game to say the least and my only suggestion would be to try it out then refund your dollar if you don’t care for it. It’s always nice to try something a little out of the ordinary though.